Louisiana is so different from the rest of our country. It’s the only place I know where you take your post-dinner leftovers and feed the alligators. We’re heading to our bayou man-cave to watch the Rangers beat Tampa Bay and then the Yankees beat Detroit. Tomorrow is a big LSU game and another Rangers game. Click here to see feeding the alligators clip! 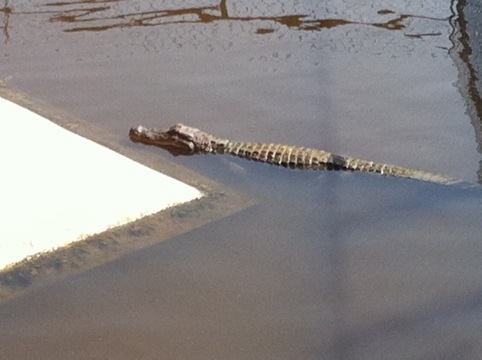 This entry was posted in Dining, Friends, Traveling and tagged Alligator, Louisiana. Bookmark the permalink.